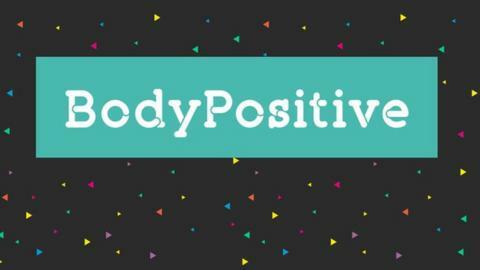 BodyPositive is an exciting new BBC campaign launching in January 2016. Our mission is to inspire, empower and motivate our online community in the pursuit of feeling BodyPositive. And we'll be with you every step of the way as you enjoy and celebrate being YOU. We're proud of all the things that make us unique and we reckon that by embracing our differences we can make our own lives happier - and inspire someone else along the way. Perhaps you've hidden something about yourself for years and are now ready to tell the world. Maybe you've got a secret even your friends and family don't know. The chances are, you're not alone. We've all got stories and now it's time to share them. We're looking for real life tales of how you've overcome something that embarrassed you, or maybe made you feel alone or awkward. It could be anything from a physical scar to a deep fear or a condition that perhaps you think people just don't understand. We'll back your story up with expert advice and enable you to share your experience with a community of people who are just like you. And maybe you'll be the inspiration for someone else too. Drop us a email with an idea of what you want to talk about along with your contact details. We'd love to hear from you. If you are 16 or 17 we may need parental permission to include contributions.